In behalf of the officers and core group members of PSITE-XI, we would like to invite you to attend and present papers at the Mindanao Conference on Information Technology Education (MCITE '07). Tentatively, the schedule is on September 20-21, 2007 at the University of Mindanao, Mini-Auditorium , GET 2 Bldg., Matina Campus, Davao City. 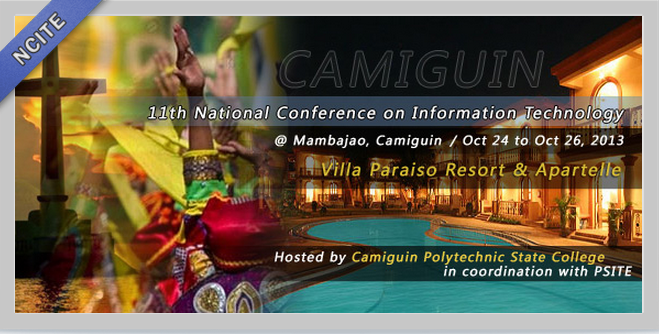 MCITE '07 is a Mindanao-Wide meeting on Computer Science, Information Technology and Information Management. It will feature well-known academic and business leaders as plenary speakers. Paper presentations are invited. We aim to provide a venue for teachers, researchers and graduate students to share and upgrade knowledge in IT. PSITE is committed to promoting the development of quality Information Technology Education in the Philippines and is a major CHED partner in this endeavor. Attached are details of said conference including the program, registration and submission details. 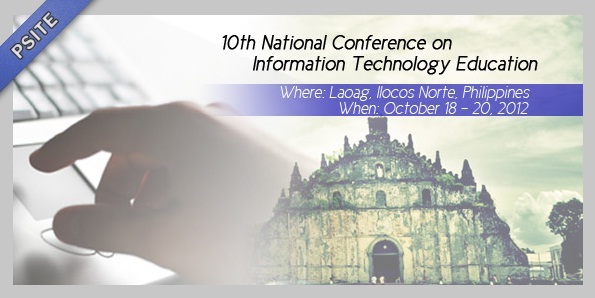 The Philippine Society of Information Technology Educators – Region XI (PSITE XI) cordially invites you to attend and present papers at the 5th Mindanao Conference on Information Technology Education (MCITE ’07). The holding of this congress was inspired by the success of previous MCITEs held annually. About 200 delegates, mostly administrators, educators, researchers and students, participated in previous conferences. This year, PSITE XI, in coordination with the Council of Deans in IT Education, is holding MCITE ’07. Tentatively, the schedule is on September 20-21, 2007 at the University of Mindanao, Mini-Auditorium , GET 2 Bldg., Matina Campus, Davao City.